In the October 2018 12.1 iPhone update, a number of emoji premiered that should get any phone-carrying, text-message-typing Infection Preventionist in a good mood. Nestled among the smilies, foods, holidays, and flags are a lab coat, a sponge, a bar of soap, DNA, a test tube, and most excitingly, a microbe and a cultured petri dish! We can only imagine the ways you all will use these new emoji! In honor of this new addition, we’re going to examine how infection control activities involve social media. Social media and infection control is even on the radar of current researchers. Social media was examined in this study, while the world of blogs was reviewed here. Even the use of entertainment-education YouTube videos was studied. We hope you discovered a new place to visit online and share your expertise on infection prevention. 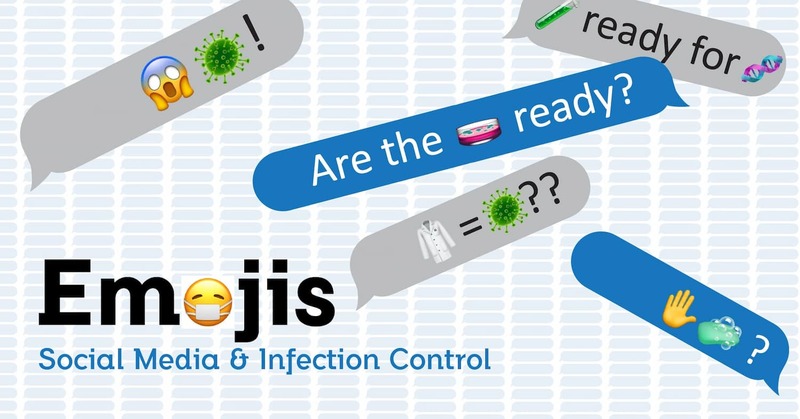 In between busy work and home schedules, we hope you get a chance to experiment with the new infection-friendly emojis! Share your best ideas in a comment below!